For years, the Empress of Namorn has pressed her young cousin, Lady Sandrilene fa Toren, to visit her vast lands within the Empire’s borders. Sandry has avoided the invitation for as long as it was possible. Now, Sandry has agreed to pay that overdue visit. Sandry’s uncle promises guards to accompany her. But they’re hardly a group of warriors! They’re her old friends from Winding Circle: Daja, Tris, and Briar. Sandry hardly knows them now. They’ve grown up and grown apart. Sandry isn’t sure they’ll ever find their old connection again, or if she even wants them to. Tamora Pierce returns to the world of Circle of Magic for this smashing novel, which brings the four young mages back together as teens. Suspense! Court intrigue! Romance! Fights! 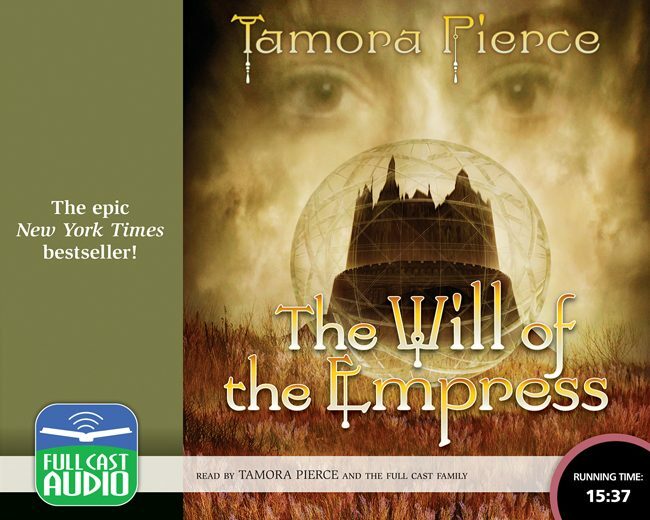 All the things that you love about Tamora Pierce’s books are here in abundance.